Linda Chung (鍾嘉欣) is pregnant! The 34-year-old actress has officially confirmed her pregnancy via Instagram, sharing a photo of the family of three as well as another Linda’s sonogram. Linda has also announced that she will leave TVB in order to rest during her second pregnancy and take care of her family. Though Linda expressed that she will definitely miss acting, she has decided to place her family first. Linda and her husband hope to be physically, mentally, and emotionally present when welcoming their new baby and growing their family. Congrats to Linda and JEREMY on such happy news. So cute that little Kelly is excited to be a big sister. Looking at the above picture, the resemblance between Jeremy and Kelly is uncanny. Grace Chan should hurry up and quit acting, or trying to act, marry Kevin and have babies galore. good for her. She won’t achieve more than what she had w/ tvb anyway. agree…her roles are mainly crybaby ones. tiger cub was a disaster anyway…she should quit. same goes for grace chan…these 2 cannot act. I think we all suspected that she was going to go into retirement after Kelly. I think she’ll return eventually as a guest star or something once she’s bored with family life. Good luck to Linda. Great news! First Aimee, now Linda. Waiting for Grace Chan next. @passingby first , Kevin has to put a ring on it. Motor mouth is not going to give up her ummm…acting…, unless she has an insurance policy. even if kevin puts a ring, she won’t quit from being motor mouth…in fact she will tell the reporters A-Z about the ring. i really hope she disappears from TVB. @coralie I remember @IIwy12 saying something about Linda being in Hong Kong to finish up a bit of work. That was very prophetic commenting. Not as bad an actress as most, but not the best either, this is a good decision from Linda. Guess at the end of everything, Linda didn’t win any awards for her career at TVB. Nor did she really deserve any. She’s not a bad actress, but not really good either. Just kind of mediocre. I still chuckle at Jeremy’s whole get up. Dude’s fashion seems to be stuck in the 80’s/90’s. His barber should really convince him the mullet went away with jean jackets and Firebirds / Trans Ams. Think Linda should really convince him to go for a makeover so he looks less like her uncle and more like her husband. @wm2017 Lol. His hairstyle needed a brand new look. It reminds me Of Moses Chan from line walker 2. Maybe some makeover might help too. @cutie777 OMG….. cutie you are so right….lol…I never find Moses Chan attractive in any way but yes he was super ugly in that role. It was too funny the way he looks and he looks so old in there too but then in other functions he didn’t look as old n his hairstyle was actually better. lol…That Line Walker I doubt anyone can forget his grandpa hairstyle. 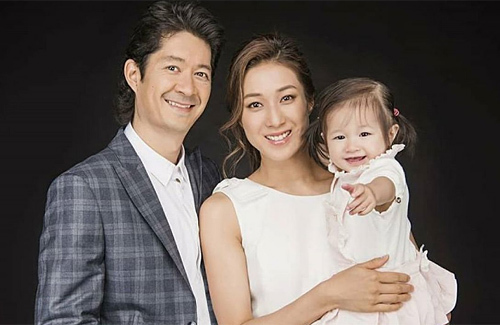 Linda Chung’s hubby yes we understand he’s not young at all just looking at the face but there are situations where you can do little makeover and looks younger than your age especially if your wife is a celebrity. The irony again from Philip Ng to that? haha lol…. He looked really bad in his wedding anyway so I guess we can never expect anything. Never really like Linda Chung’s acting so we wouldn’t miss much either and people actually like her singing too. moses is not good looking…and his hairstyle in LW2 was horrid. with Linda’s plan to have 4 kids, it’s best to retire as she just cmi. her singing is worse. @wm2017 you’re right too! Moses does looks so uncle from Line Walker 2 and about Linda husband he doesn’t age well unlike other for example Kevin Cheng, Raymond Cho, Raymond Wong and Steven Ma all this mens are in their 40’s and still looking good and fit. Lol. I guess Moses and Jeremy are way too lucky to have a younger wife with a pretty face. They are. You know I always say there must be some sort of attraction if not just the money. ome golddiggers go for the $$$ nothing else, whether they are old ugly whatever as long as they have $$ they are all for it. As for this dude, if he’s not rich perhaps to her he’s an educated guy unlike her ex and can provide for her no matter what. There has got to be somes sort of attraction to be going from a young hot one to an old and unattractive one. lol…..
jeremy is not young…what fashion can we expect from him? in a few years’ time, he will definitely look like an uncle standing beside linda and a grandfather to the kids more than a father. linda’s acting just can’t make it despite 13 years in the industry. The comments are a bit mean about Linda’s husband. External appearance is not the most important surely, kindness and caring nature is surely considered to be things we look in a person to be their life partner?? I think if Linda changed him, then he wouldnt be the person she fell in love with? If he feels out of place thats because society makes it look that way. Some people just do not find it that important. Good luck to them and good to see someone who has everything, beauty, established career and opportunities realising that family is to come first over all of that. Not all actresses whatever level we think they are as the audience can let go of all that fame and glam to live back into a normal life. I am sure she will be back to do advertising and single contract productions like many do, its probably provides her with the flexibility to fit it in with her home life. @shorts very beautifully said. I, or anyone could not have said it better. Society has a warped way at comparing how couples are compatible or not, especially the Asian society. Linda loves Jeremy for himself and that is all that matters. Good news for Linda. Gonna miss her though!